On February 26, 2014, the Georgia Senate passed Senate Bill 270, which incorporates the City of Lakeside in North DeKalb. Only six days earlier, House passed House Bill 704, which incorporates the city of South Fulton in Fulton County. The General Assembly appears to be the way to esnure Lakeside and South Fulton become the newest incorporated cities in the Metro Region. The Lakeside effort, organized by members of the Lakeside City Alliance, has both supporters and opponents in DeKalb County (e.g., the bill’s sponsor, Senator Fran Millar, a Republican who represents part of DeKalb, and Senator Jason Carter, a Democrat who also represents DeKalb voted against the bill). 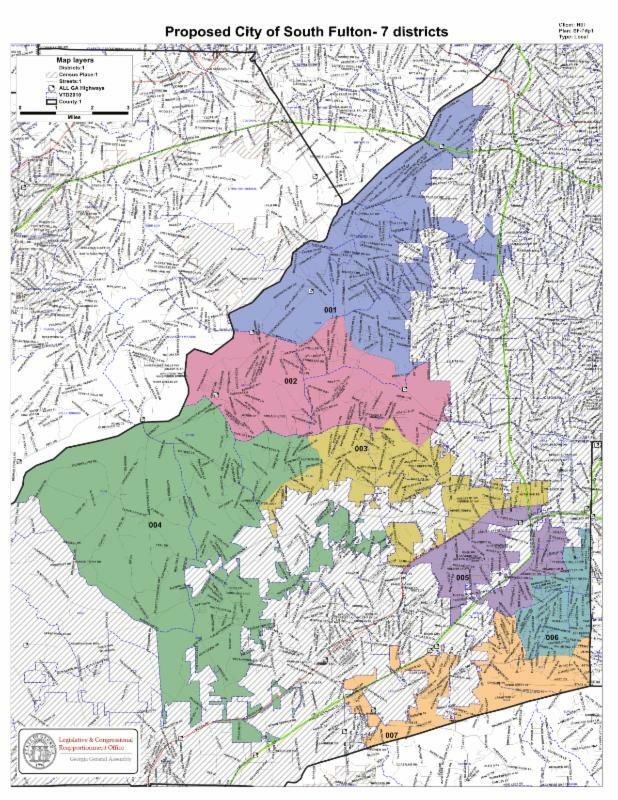 Below is map of City of South Fulton, as passed by the House. 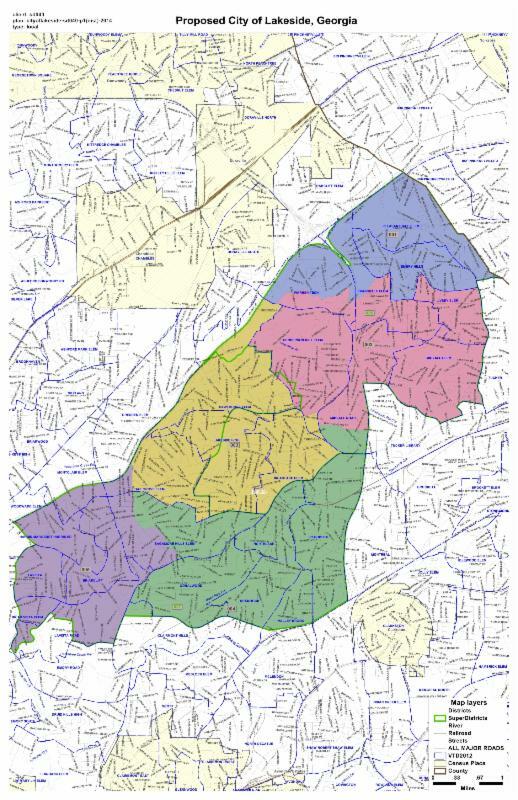 According to the Georgia General Assembly’s Legislative and Congressional Reapportionment Office’s Dan O’Connor, it would have a population of 87,478; next would be Roswell at 88,346, with Sandy Springs closely following at 93,8530. If this occurs, it would make South Fulton the 9th largest city in the state. Below is a map of the proposed City of Lakeside as passed by the Senate.